Plantronics Savi W445-M/Lync Convertible DECT Headset with Deluxe Cradle and Spare Battery is an audio communication package that delivers incredible sound quality and portability. 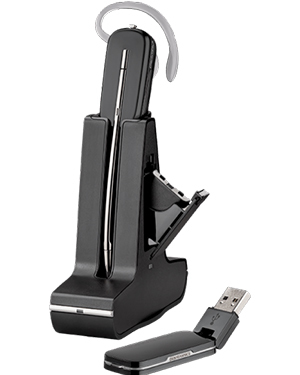 With a hot swappable battery, this particular headset is incredibly convenient to use that users can even change the battery of the headset while on an active call. Do you think this innovative headset is the right one for you? Call us now at Australia wide 1300 131 133 for more details how! 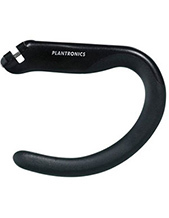 Established in the year 1961, Plantronics is an enterprise that is able to cater to millions of customers worldwide. With the support of around 5,000 employed experts working for the company, it is able to operate through its headquarters located in Santa Cruz, California. It also has partners, retailers, distributors, original equipment manufacturers, and service providers in over 80 countries, which help in the company’s marketing and distribution processes. These partners are found in North America, Europe, and Asia Pacific Region. Plantronics started its operations in the 1960s, when headsets are still designed to be big and bulky. It has become the epitome of lightweight headset in that period, which is how it gained its reputation and what it continues to prove up to its current operations. The company solidified its position in the market when Neil Armstrong’s iconic words “It is one small step for man, one giant leap for mankind.” came through using a Plantronics headset. Headsetsonline Pty Ltd is an Australian consumer electronics enterprise that is popular for delivering a powerful product portfolio using its online store as the avenue for marketing and transactions. 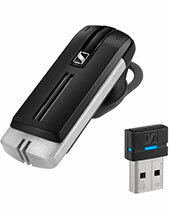 It has an enterprise-encrypted and secured site that houses the online store, Headsetsonline.com.au, where customers can skim through and look for the products they need for purchasing. This site has GeoTrust True Business ID with Extended Validation and green URL Address bar HTTPS, along with the 2048-bit root encryption and 256-bit identity authentication, which is the same as banks’ security login. 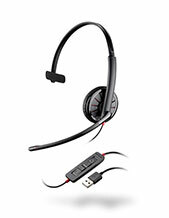 Headsetsonline is strict when it comes to its product and solution offers. Aiming to offer customers only the best, the company choose to get their offers from Australian distributors and not grey imports. With this, customers are guaranteed that what they get from the company are Australian standards certified and are covered with warranties that can be used and are covered all over Australia.